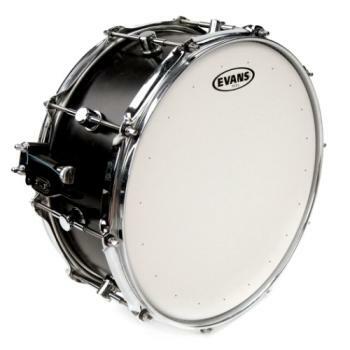 Evans Genera HD Dry Snare heads feature two plies of film. An outer ply of 5mil film and an inner ply of 7.5mil film, in combination with a 2mil overtone control ring on the underside that "floats" with the head, elimi nating excessive overtones and controlling sustain. Precision-drilled dry vents around the perimeter of head reduce overtones and control sustain.